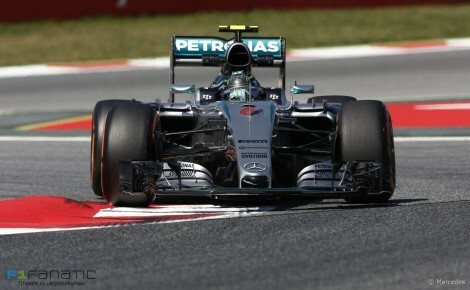 Which F1 driver was the best performer during the Spanish Grand Prix weekend? Review how each driver got on below and vote for who impressed you the most during the last race weekend. Lewis Hamilton ? Spun in final practice after touching the artificial grass in turn three, and from then on seemed to lose the initiative to his team mate, who beat him to pole position. A poor start cost him one place to Vettel and almost another to Bottas. Unable to pass Vettel on the track, he tried to undercut the Ferrari at the first pit stop but was thwarted by a slow left-rear tyre change. A switch to a three-stop strategy got him ahead, but by the time he?d made his extra pit stop Rosberg was too far ahead to be caught. Nico Rosberg ? Collected a reprimand early in the weekend for entering the pit lane on the wrong side of the marker bollard, but other than that rarely put a wheel wrong. He beat Hamilton to pole position for the first time this year with a tidy qualifying effort and made a clean start to hold his advantage at the start. 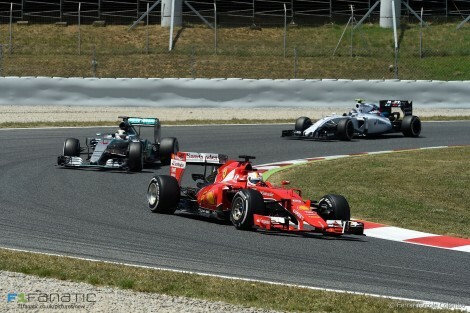 From then on, with Hamilton stuck behind Vettel, he was in cruise mode. Daniel Ricciardo ? Covered just 13 laps on Friday due to yet more Renault power unit problems on his car. Judged tenth on the grid to be ?my worst quali since I started with the team? but was much more satisfied after a trouble-free run to seventh. With Mercedes, Ferrari and Williams ahead, it?s doubtful there was more to be had. Daniil Kvyat ? Also missed out on some running on Friday and Saturday, but managed to out-qualify Ricciardo for the first time this year. He made a very poor start, however, dropping back five places. Although he got back in the hunt for points he lost ninth to Sainz on the final lap after the pair tangled at turn one. Felipe Massa ? Blamed an error at turn three for his disappointing qualifying performance. Started well but ran wide at turn two, losing some of the advantage he gained, but he was able to recover sixth using a three-stop strategy. Valtteri Bottas ? Sat out first practice while Susie Wolff drove his car but was able to take advantage of Raikkonen?s troubles to qualify fourth. He then held off the Ferrari in the latter stages of the race to keep the place. Sebastian Vettel ? Took third on the grid in the upgraded Ferrari, albeit more than three-quarters of a second off Rosberg?s pole position time. Ran in front of Hamilton for the first half of the race but when Mercedes put their man on a three-stop strategy Ferrari stuck to their guns and Vettel, perhaps inevitably, lost his hold on second place. Kimi Raikkonen ? Mystified by his car?s handling on Friday and repeatedly complained about a lack of grip during the afternoon session. For Saturday the decision was taken for Raikkonen not to use all of the team?s newest parts, and having been compromised further by an unusual problem with a tyre warmer he could only manage seventh on the grid. A combative first lap got him past both the Toro Rossos, but the extra step needed to get him ahead of Bottas wasn?t there ? he spent the last ten laps pressuring the Williams driver. Fernando Alonso ? Had an inconsequential spin at the end of first practice. In qualifying he got his car through Q1, but his race came to an end with brake trouble ? unable to stop his car at his pit box, Alonso?s front jack man had to dive for cover as the car missed its marks. Jenson Button ? Set the eighth-quickest time on Friday and accompanied Alonso into Q2 ? a first for the team this year. However he was disturbed by his car?s handling in the first half of the race, and though it improved later on he could only manage 16th in front of the two Manors. Nico Hulkenberg ? Having been 12th in final practice Hulkenberg hoped to qualify better than 17th, but the VJM08?s shortage of downforce made life difficult. ?My final lap was not great,? he admitted, ?but it?s not easy when the car is working in such a narrow window?. He fell behind Perez at the start and spent the middle of the race stuck behind Maldonado?s ailing Lotus, which confined him to 15th. Sergio Perez ? A long final stint on medium tyres allowed him to hold off Ericsson for 13th place, but any repeat of his Bahrain heroics was out of the question on a track where the VJM08?s shortcomings were so clearly exposed. Max Verstappen ? Shared the third row with his team mate but out-dragged him to turn one. Couldn?t keep Raikkonen behind on the first lap, though. Both Toro Rosso drivers were passed easily on the straight by cars with better straight-line speed, but with four laps to go Verstappen lost out to his team mate and he finished just outside the points. 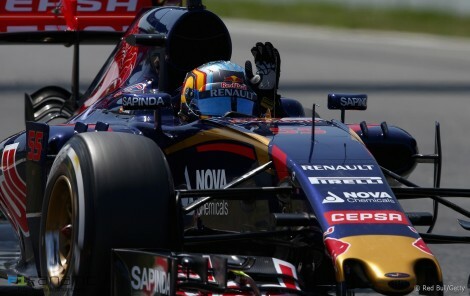 Carlos Sainz Jnr ? Having been unsure about his car in practice he found its handling transformed in qualifying and duly took a best-yet fifth on the grid. Spent most of the first stint being overtaken, but kept his cool and at the end of the race his tyres were still in good enough shape for him to pass Verstappen and Kvyat for ninth place. Romain Grosjean ? As usual it was Grosjean who sat out first practice while Jolyon Palmer drove the Lotus. Grosjean?s run in second practice was then disrupted by technical problems including a dramatic rear bodywork failure. Despite having reached Q3 in the first four races, after Friday he was pessimistic about their chances of getting beyond Q1. He made it, but couldn?t progress beyond Q2. Lost places early in the race after running wide at turn one, lost time when he overshot his marks at his second pit stop, and lost fourth gear as well, but took points for eighth. Pastor Maldonado ? Gearbox trouble limited his running in first practice. Having qualified behind Grosjean he passed his team mate early in the race but picked up rear wing damage as he did, which cost him time at his first pit stop as the broken end plate was removed. This put him back down the order, and the team later decided the limited potential for points scoring was not worth the risk of incurring further damage. Marcus Ericsson ? Raffaele Marciello drove his car in the first practice session, and his lack of running perhaps told in Q1 where he failed to make the cut. 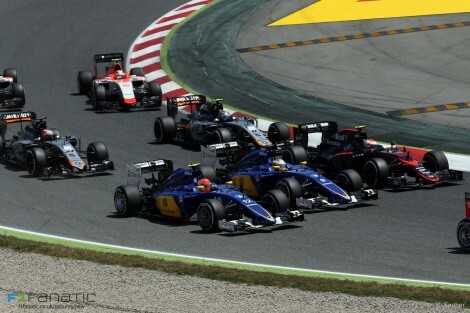 He struggled to make progress in the race and was unimpressed at being held up by his team mate at one stage. Felipe Nasr ? Blamed the Sauber?s lack of downforce for an inability to get the most from either the medium or the hard tyre, and said his finishing position of 12th was the best his car was capable of. Will Stevens ? Came out on top of the two Manor drivers as usual, despite falling behind Merhi at the start of the race. Roberto Merhi ? Merhi is 12 kilos heavier than his team mate, which goes some way towards explaining the performance gap between them. He was unable to do his second run in qualifying when his car developed an ERS fault after he?d been called to the weigh bridge, and in the race he finished a good 40 seconds behind his team mate. It remains to be seen if he?ll be in the car for the next race. Which driver do you think did the best job this weekend? Cast your vote below and explain your choice in the comments. When this poll is closed the result will be displayed instead of the voting form.